Daikin split system air conditioners are perfect for those who spend the most time in just one or two areas in their homes. Instead of having to cool the entire house, you get to select the specific rooms or areas to air condition. A split system, like its name suggests, is split into two parts – one outdoor and the other indoor. The indoor unit is located within the home, and provides the cooled or heated air into the space. The outdoor unit, meanwhile, is situated outside the house. It contains the compressor and pumps refrigerant to and from the indoor unit. There are several reasons why split system air cons are gaining popularity, and one of them is the style factor. Many split system units today come in sleek design, complementing the modern décor and surroundings of the home or office. With the split system, you can select the rooms you want to air condition. For instance, install it in the baby’s room to keep the little one nice and comfortable, or in the main living area where you spend most of your time. Split system units are a good choice for small homes, apartments and other compact spaces, as the compressor is installed outside the house, while the indoor unit can be wall mounted. Unlike traditional HVAC units, a split system is easier to install as it does not require the use of long and expensive ducts. Daikin split system units are quiet enough that you can install them in a nursery. 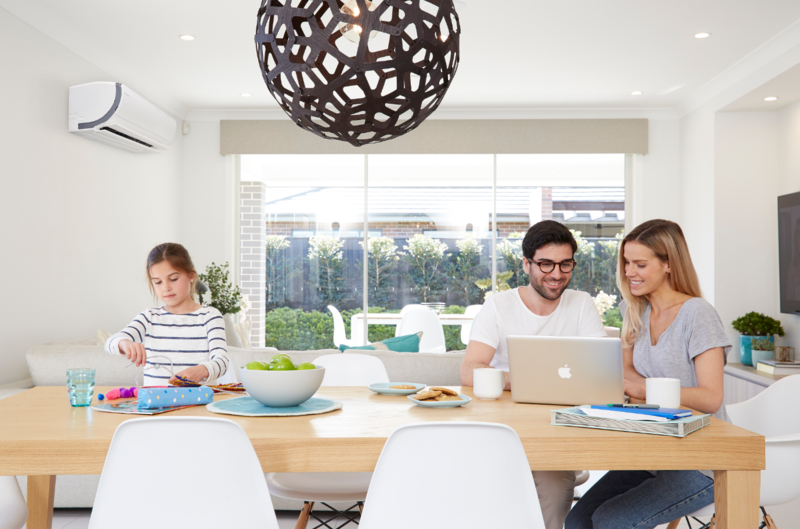 Daikin has been cooling Aussie homes for over 40 years, and is a world leader in air conditioning. With world-class production facilities here in Australia, Daikin strives to drive advances in energy efficiency and improve in-home comfort. Daikin also offers a 5 year warranty for parts and labour on all Daikin split system air conditioners, so you can enjoy many years of worry-free comfort ahead. 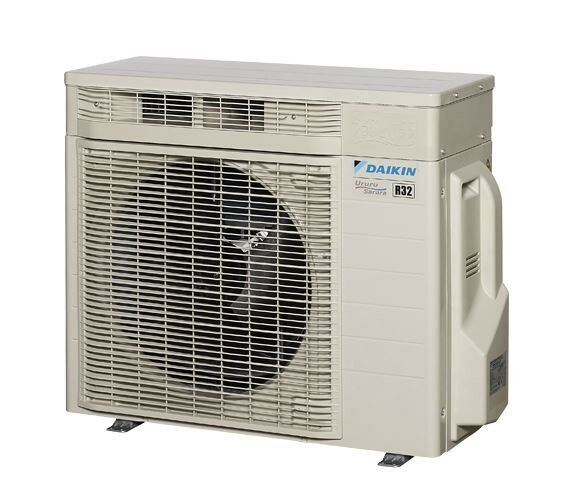 Packed with advanced features, the Daikin US7 split system air conditioner provides premium air quality for your home. With its humidifying, dehumidifying, ventilating and air purification capabilities, the US7 is a Sensitive Choice approved product by the National Asthma Council of Australia. It is also the first to earn a 7-star ‘Super Efficiency’ rating in Australia. The Daikin Zena is engineered in Europe and designed to impress. The indoor unit features an aerodynamic, curved front panel which looks unique and contemporary. 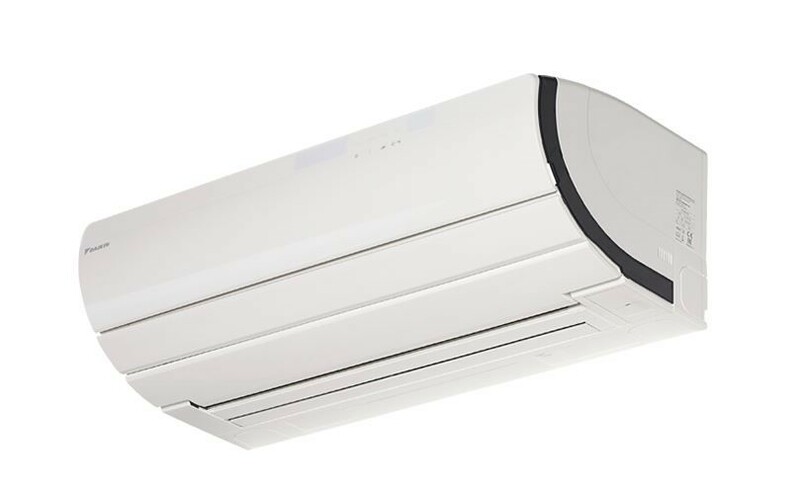 With optional Wi-Fi capability, the Daikin Zena is available in a silver finish or pure matte white finish. The all new Zena appeal to those looking for a modern, sleek and compact air conditioner. 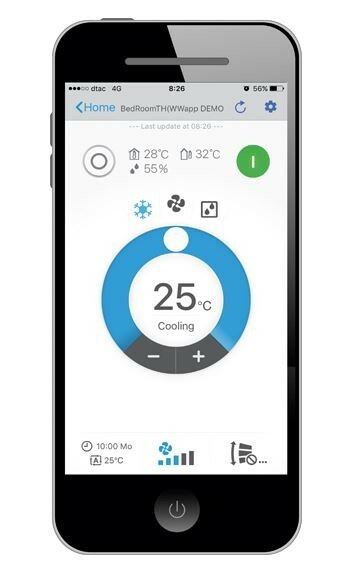 Designed with energy efficiency in mind, it also has built-in Wi-Fi connectivity, so you can control your air con from a smartphone anytime anywhere. It is available in White Hair Line or Black Wood finish. The Daikin Cora is an ideal addition to modern bedrooms and living areas, thanks to its flat panel design in a high quality matte white finish. It also features whisper quiet operation, industry-leading energy efficiency and superior comfort levels, making it perfect for creating a family sanctuary. D-Mobile can also be used to group indoor units for easier management, and has the ability to create a unified ON/OFF control.